Acupuncture and Oriental medicine have been used as healing arts for over 2,500 years. Acupuncture focuses on correcting imbalances of energy flow by inserting ultra-thin disposable needles under the skin to stimulate specific points in the body. Stimulation unblocks the channels and encourages an even flow of energy, restoring the body�s balance and relieving pain and other symptoms. Acupuncture�s complex system of diagnostic methods take into consideration the person as a whole, not just isolated symptoms. Acupuncture and Oriental medicine treat and strengthen the physical condition, normalizes physiological functions, and control pain. The aim is not just to eliminate or alleviate symptoms, but rather to treat the underlying cause, increase the ability to function, and improve the quality of life. 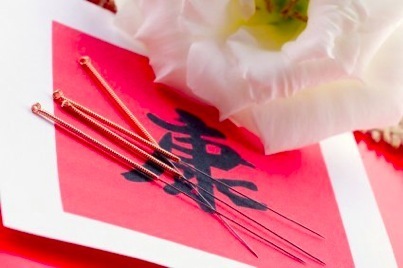 Acupuncture needles are ultra-fine, disposable and quite flexible stainless steel. When the needles are tapped into the skin, you may feel a warm or tingling sensation. After insertion you will not feel them. The needles are typically placed in several acupoints and are usually left in about 20-40 minutes. Moxibustion treats and prevents diseases by applying heat of a slow-burning moxa-wool (the common name of this herb is mugwort). The cigar shaped roll is held near the acupuncture point of the diseased area. Cupping is a therapeutic method of applying suction through small glass jars in which a vacuum is created. Cupping is mainly used for low back, shoulder, and leg pain, and lung diseases such as cough and asthma. In the course of your treatment, you may be prescribed herbal supplements. Chinese herbs consist of naturally found products that promote health. Herbal formulas are created exclusively for your condition and may be dispensed in pills, powder, capsules, or in raw form, which requires boiling as a tea. This treatment helps rid the body of toxins from below skin level and from other deep tissue, and renew blood circulation to different parts of the body, especially to the head, back, eyes and arms. Toxins make blood vessels narrow, which decreases blood circulation (making extremities weaker) and pinches nerves, which gives pain. Patients can see their toxins as oily gray matter on the doctor�s hands and on their bodies during the treatment or after it. During the treatment, the doctor pulls toxins from the patient�s body in a process that somewhat resembles massage. The patient lies on a massage table and the doctor applies pure honey to the skin and with a combination of pressing and patting motions of the hands on the patient�s body uses healing energy to pull toxins from the body. The treatment lasts from 30 minutes to one hour. After treatment the doctor puts a compress made from paper towels on the patient�s skin. In one and a half to two hours the patient removes the compress and takes a shower. Treatment could be used for temporary relief from asthma, chronic pneumonia, sciatica pain, pain in the neck and back, MS, memory loss, poor concentration, for smokers and ex-smokers, and many other problems. Acupuncture and Chinese medicine can provide a safe, effective, natural, and drug-free approach to reduce signs of aging. A facial rejuvenation using this ancient technique can improve muscle tone of the face and neck while addressing underlying imbalances that may have contributed to the aging process. Nutrition Therapy is the practice of using nutrients in the form of food, herbs, and supplements to help you correct imbalances, heal from illness, prevent illness, and achieve optimal health and well-being. We offer nutritional programs to fit individual�s health and weight loss goals. When we design a personalized program we take into account specifics of illness, patient blood test, constitutional type, allergies, food sensitivities, inflammation and any digestive problems. When you make an appointment, please make sure that you ask about the benefits of better nutrition in the course of your treatment. Short course acupuncture weight loss treatments mainly aim to suppress appetite, increase metabolism, and assist in acquiring the lifestyle change necessary to maintain healthy weight. Ear acupuncture is especially found to very effective for weight reduction. Auricular acupuncture points are stimulated using small tacks and then seed-sized beads or magnets are taped to these points in order to enhance the effectiveness. When patient unnecessarily gets food cravings in between the meals, then mild pressure is applied or ear staples are rubbed. It stimulates release of endorphin that helps to relax and achieve control over food craving. Therapeutic massage is a growing part of American medicine. It is among the oldest of human healthcare practices, and is now being increasingly prescribed by doctors to complement other treatments for illness, injury and pain. It reduces the heart rate and blood pressure, increases blood circulation and lymph flow, relaxes muscles, improves range of motion and relaxes the mind. There are many different styles of therapeutic massage, some new and some very ancient. They all involve the manipulation of the soft tissues of the body to prevent and alleviate pain, discomfort, and muscle spasm. Some techniques are quite gentle and are often used for stress relief. Others are more forceful and are used in helping the body heal from serious injury and illness. �Swedish massage - a gentle, relaxing massage often seen at spas and resorts. �Acupressure - an ancient cousin to acupuncture, using Chinese meridian theory for the treatment of illness or injuries. �Shiatsu - a Japanese technique very similar to acupressure. �Sports massage - deep stimulation and manipulation that focuses on muscle groups relevant to a particular injury or particular sport. �Myofascial release - a specialized technique used to treat patients with soft tissue problems.